Emoji Free! is a app that will add a new keyboard to your device. The attraction to this keyboard are the graphic emoticons that you can send to your friends and family. These icons can be used in any app that supports a keyboard, such as e-mail, text message, notepad, etc. With over 460 emoticons to pick from, you can choose from regular icons or you can choose animals, places, food and other random icons that fit the need. There is also an optional “physics-based sandbox” that allows you to play with the emoticons. Even though it has got the word free in the program’s name, this is the full version and there isn’t a pay version so this is the full version without ads of any kind. Puzzle Quizzes is a logic game that makes you think before you answer the puzzle that is currently shown. There are 300 puzzles that will challenge you, right from the start. Puzzles be played in portrait or landscape views, and in case you get stuck you can use the hint to give you a clue so you can figure out what the answer is. For an extra challenge you can use a timer to see how quickly you go past each puzzle. You can even have your friends play as guest players to give them a challenging game to play. Game achievements and leader boards are stored in the Game Center. 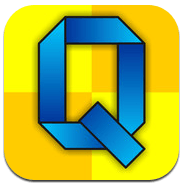 There are in app purchases to add more challenging fun with 5 packs of more puzzles, and each pack is $0.99 each. 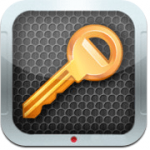 Password Manager saves all of your passwords and personal information on your iDevice. 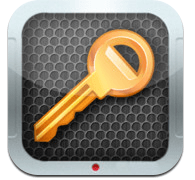 This app can store important information, bank information, your social security number (SSN), credit card numbers, and a lot of other things that you want to lock away and keep safe from prying eyes. The app has to have a password in order to get in to your information, and that information be viewed by someone without the password. You can have the app create a randomized password if you cannot think of one. Even though the app’s page states “designed for iPhone 4” it can be used on an iPhone 3G or 3GS.